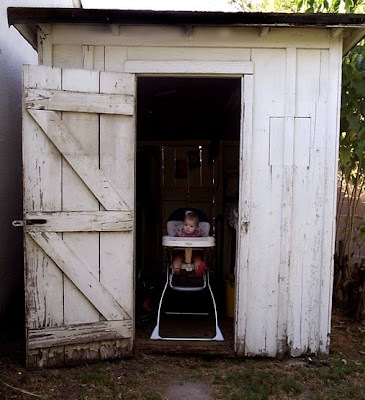 Intimidating Uncle: Get Out Of That Shed! Sick of little kids thinking they are being cute? Sick of little kids being coddled by their parents? You need a little Intimidating Uncle! Get Out Of That Shed! Who told you, you could go in there? Where is your shoe? I can't say why - but this one just might be my favorite. I feel like this whole blog was written by my ex-boyfriend. Got a picture of a kid or kids who need to be put in their place? Send it in. You Already Kind Of Look Like A Piglet. What Do You Have? Nerd Disease? Oh Yeah! I'm Sure It Will Be Delicious! Yeah. Wipe that crud off your face! You Break It. You Bought It! How Many Bowls Of Cake Are You Going To Eat? Like Playing With Guns Eh?